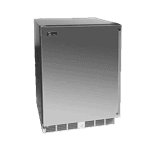 Ideal for storing white wines, champagne, sparkling wine and so much more, commercial wine coolers ensure that your retail and menu wines are at the perfect temperature for serving and aging. As you know, high temps can compromise the flavor and natural aging process of wine, so keeping it chilled is an important part of protecting your inventory and keeping customers happy. 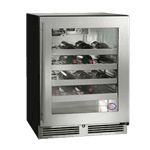 CKitchen is happy to help you find the ideal commercial wine cooler for your specific needs, with an enormous range of options to suit your space and budget. From compact, underbar wine coolers to massive wine fridges that can hold up to 160 wine bottles, there’s a commercial wine refrigerator, cooler or cabinet for every business here. Wineries, vineyards, large-scale restaurants and bottling plants may want to consider investing in one of our large wine refrigerators featuring dual-temperature functions. These units are great because they allow you to set different temperatures in different compartments, perfect for keeping certain vintages and varieties at their ideal temps. Need something a bit more portable? We have a great assortment of compact and movable styles for your particular configuration. For example, you might consider a wheeled Traulsen wine cooler if you want to be able to transport your inventory easily. 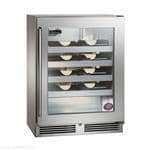 You’ll also find compact, commercial coolers by Perlick in our selection that safely store eight bottles or more. These styles are great for installing beneath your bar or tasting room, and can be equipped with door locks for storing your best reserves. 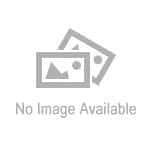 CKitchen is an excellent resource for commercial refrigeration, so be sure to explore our entire catalog for more. We’d be happy to help you with simple financing on all of your commercial restaurant equipment.